It’s clear by the comic book moniker, Archie Comics, that the 76-year-old slapstick series was built around the titular hero, Archie Andrews. It was always about Archie, who, let’s face it, was pretty average. The stories traditionally centered on who was fighting over Archie, who Archie was dating, his friendships, and his band. He was simple, but his dramatic life was worth following. That’s why Riverdale, the CW’s spin on the Archie Comics narrative, shifts the action away from the comic’s namesake and focuses more on the corollary characters. In fact, it’s the women of Riverdale who take the lead, while men, like Archie, are secondary characters. And believe it or not, the show even passes the infamous Bechdel Test, updating the classic comic to a time when women are empowered, there’s a girl code, and Betty and Veronica are friends (not frenemies). Because the show tears a page or two from the likes of The O.C., Gossip Girl, and, yes, even Twin Peaks, there’s a darkness and mystery amidst the town of Riverdale, and that mystery is mostly unraveled by Elizabeth “Betty” Cooper (Lili Reinhart), Veronica Lodge (Camila Mendes), and Cheryl Blossom (Madelaine Petsch). At the beginning of the series, Betty gets friend-zoned by Archie Andrews (KJ Apa), but we quickly discover her presence on the show isn’t defined by her affection for her longtime BFF. Instead, she’s the one steering everyone in the right direction to find out who killed quarterback Jason Blossom (Trevor Stines), while also struggling with the day-to-day horrors of having to navigate her parents’ psychotic restrictions, which includes not being friends with Archie and not seeing her pregnant sister Polly (Tiera Skovbye) who’s been in hiding. Without Betty, the show would have no Nancy Drew trying to solve the crime, and her friends and the town itself would be hopeless. And that leads us to Veronica. On the outside, the new girl from Manhattan looks like she’s copped Blair Waldorf’s style, but on the inside, she’s a reformed Queen Bee who just wants to make a solid group of friends. Though Veronica and Archie have a brief closet make-out sesh (something she instantly regrets), she vies for a bestie instead of a boyfriend. Perhaps the old Veronica would have pursued a tryst with Archie had she been the Mean Girl-version of herself, but her priority instead is a friendship with Betty, and helping Betty see that she can be a stronger, more confident version of herself. Riverdale does have its Queen Bee, though, and it’s in the form of Cheryl. As captain of the cheerleading squad (and the second-largest proponent of finding Jason’s murderer), Cheryl is a spitfire — a sassy redhead who appears to be a Regina George, but who’s far more vulnerable. In the second episode, Cheryl runs into the locker room sobbing after seeing Archie in Jason’s old varsity jacket, which prompts Veronica, who Cheryl isn’t so favorable of, to come in and hug her. Veronica sees beyond her differences, and later in the series goes to a sleepover at Cheryl’s, where it’s basically revealed that her family is less than normal and less than kind to her. Veronica, although apprehensive, goes to the Blossom family estate and sees how Cheryl is treated, looking beyond her rude surface image to actually be her friend. Cheryl is compassionate, though guarded, and determined to figure out who killed her twin (their relationship seems super creepy, but … I digress). Thanks to her mother, Hermione Lodge (Marisol Nichols), Veronica’s resilience is genetic in Riverdale. While her father’s in jail for embezzlement, Hermione will do anything it takes to keep she and her daughter afloat. The duo may live in a ritzy apartment, but it’s clear that they’re surviving on what’s left of their assets. Hermione made a difficult choice as a (now) single mother to have her and Veronica leave the life that they knew behind in New York City. Her presence as a mother who will do anything to support her family — including leaving her luxe life in Manhattan behind to serve at Pop’s Diner to make ends meet — is commendable, even if she makes a few shady deals with Mayor Sierra McCoy along the way. It’s interesting to see a character who has risen from the ashes, so humbled by her experiences, starting over and taking charge. Throughout the series, music plays a big role, with Archie striving to be an indie musician, who’s at best mediocre. Of course, the true talents of the town are the commanding Josie and the Pussycats. After some pushback — because, let’s be honest, the band’s lineup and soulful pipes are already solid — the band reluctantly agrees to let Archie write songs with them. Even so, it’s the Pussycats who wind up teaching Archie his craft, even when Valerie Brown (Hayley Law) starts her side project with the show’s red-headed, aspiring John Mayer. But Josie and the Pussycats’ presence on the show is more than about the music: They represent the idea of thriving creativity, intersectional feminism, and the strength and unity of women in Riverdale. Look no further than Josie’s mother, Sierra McCoy (Robin Givens). 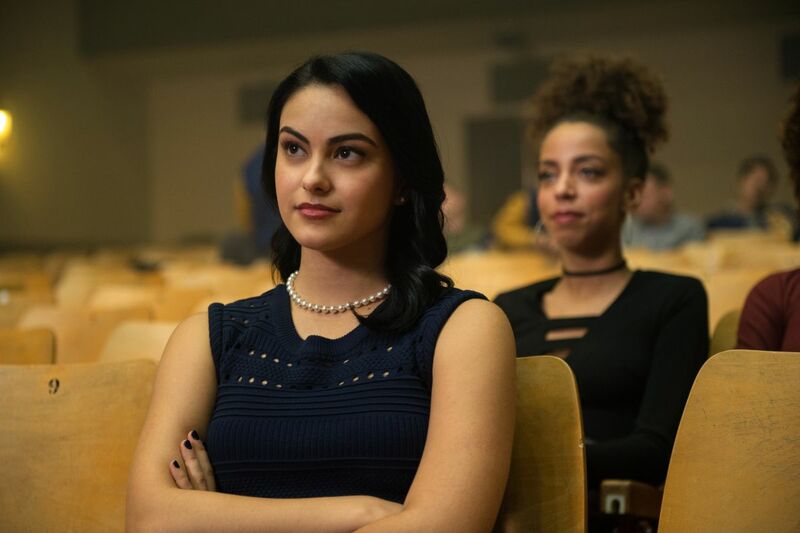 As Mayor of Riverdale, McCoy calls all the shots, meaning the most powerful member of the town is a female person of color, and that’s a big statement from the show to its viewers. It says that women do have power and agency over the future of a community. And within that power comes strength and empathy, which is really the underlying message behind the bonds of the women on Riverdale and what makes the show what it is. Malia Obama’s Mystery Man Revealed: Is She Dating Stanford Grad Rob Franklin?